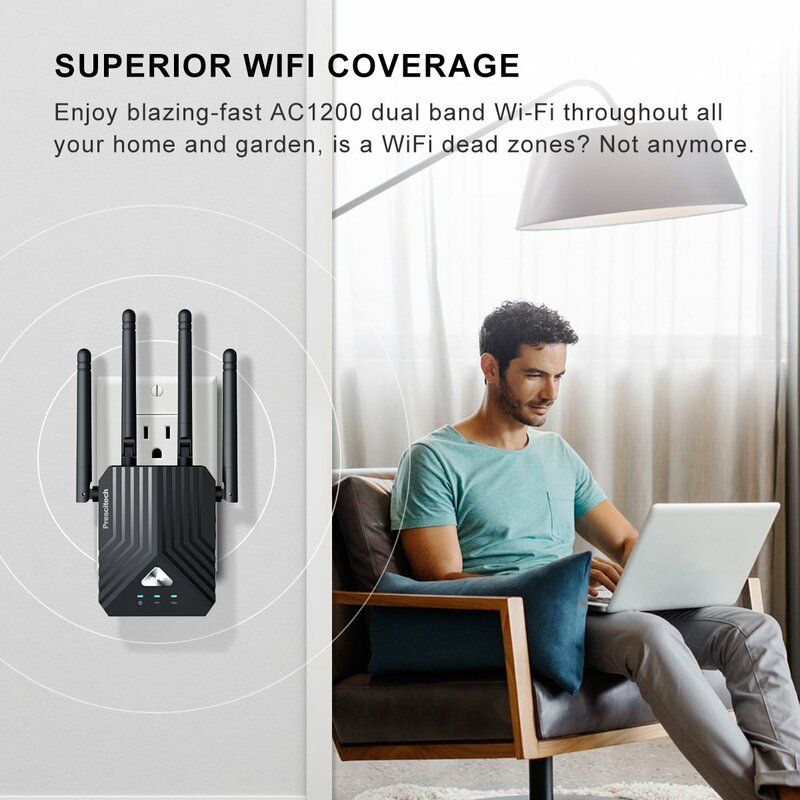 The new upgraded Prescitech X12 WiFi extender is a universal high power AC1200 dual band WiFi range extender, expands your existing Wi-Fi coverage and boost the signal strength with next generation 802.11ac Wi-Fi technology. 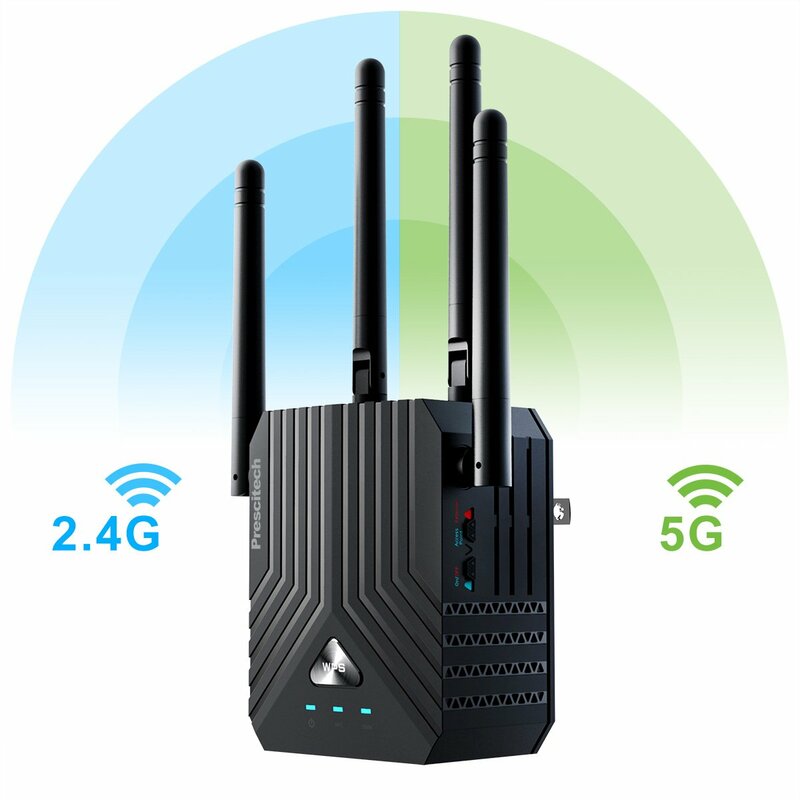 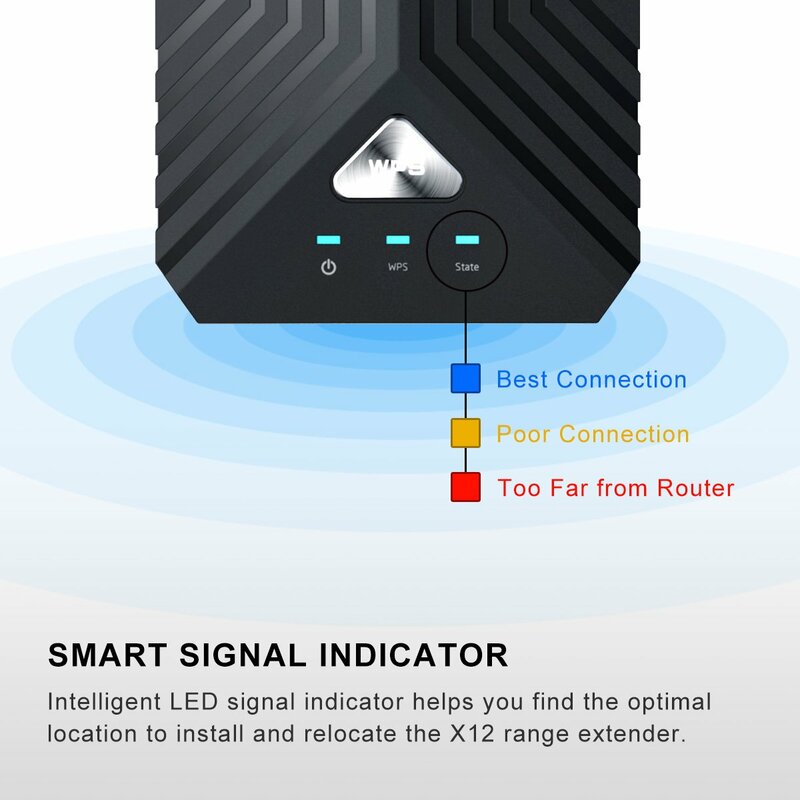 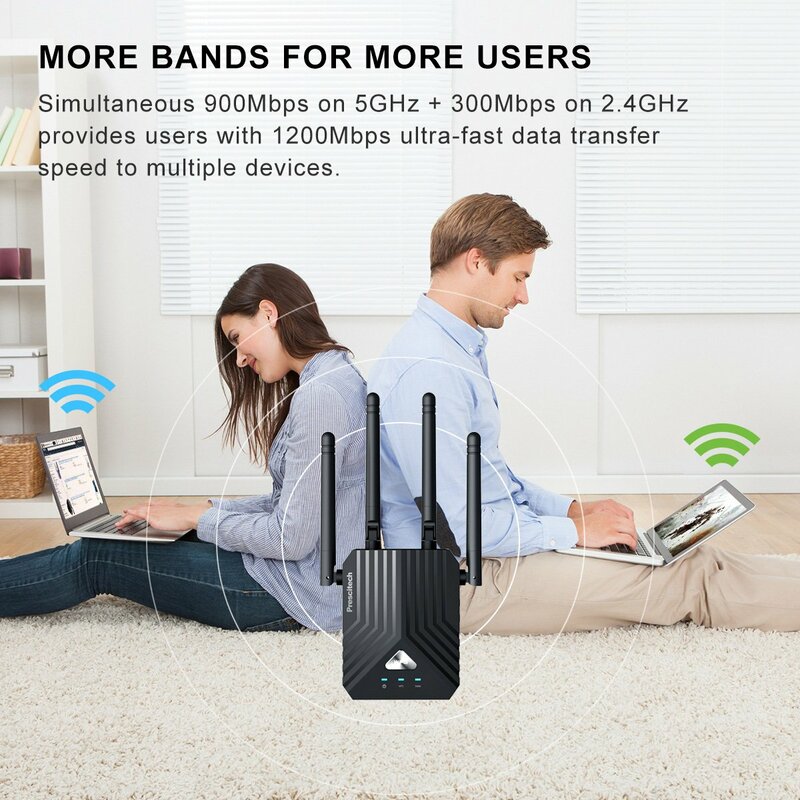 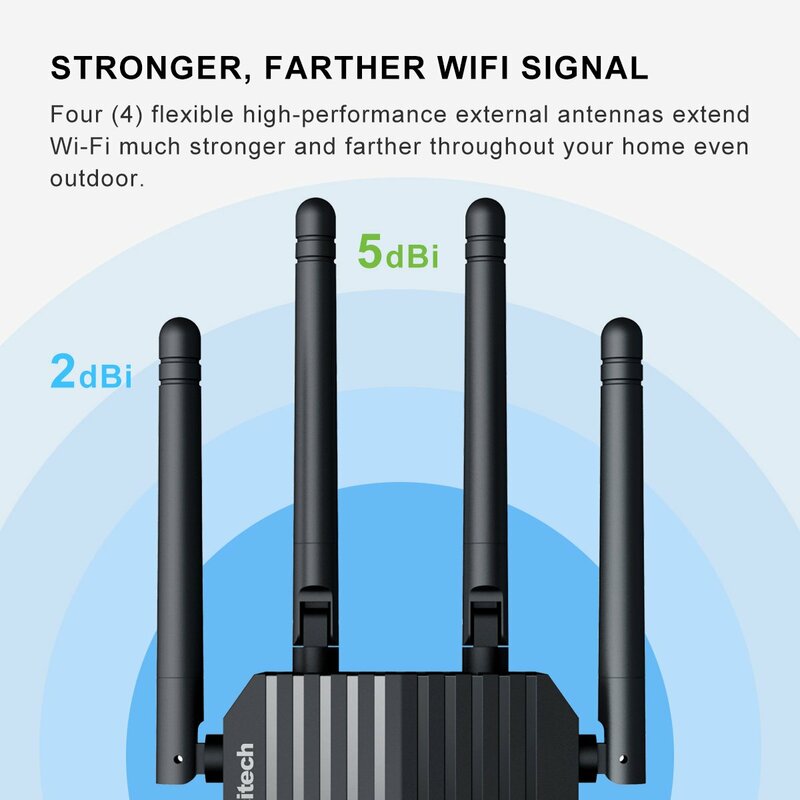 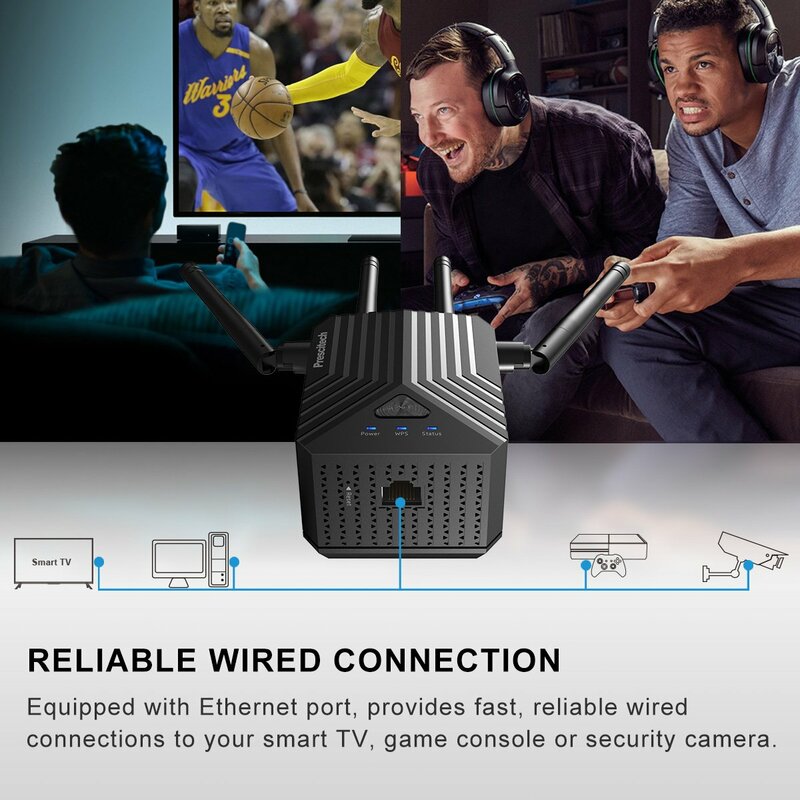 Works with any standard Wi-Fi router or gateway, creates stronger and farther-reaching dual band connections in hard-to-reach areas, allowing you to enjoy blazing-fast wireless coverage throughout your home, garden, backyard even outdoor in rv’s at campgrounds and parks. 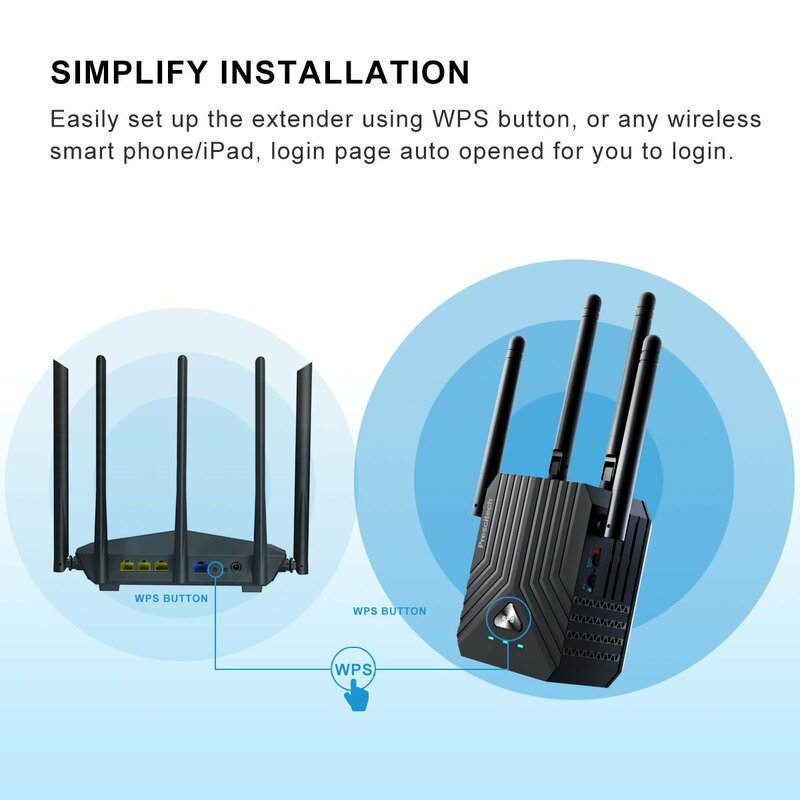 Updated interface simplify setup, easily install the extender even you are not a tech-savvy. 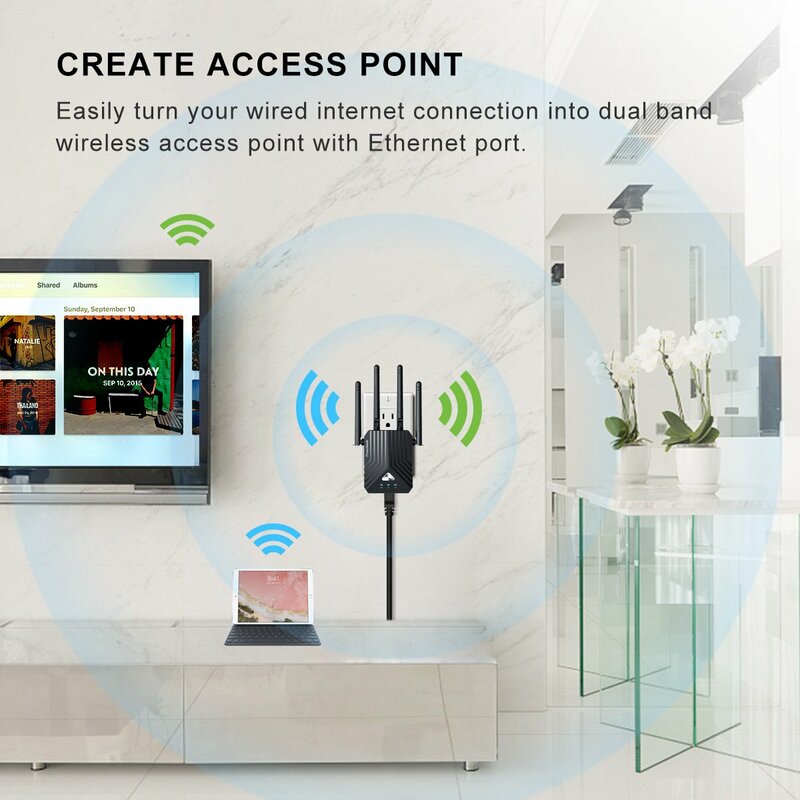 WARMLY REMINDER Please refer the User Manual before use, any questions should we assist, please contact our customer service anytime, we provide TOLL FREE CALL TECHNICAL SUPPORT in lifetime.